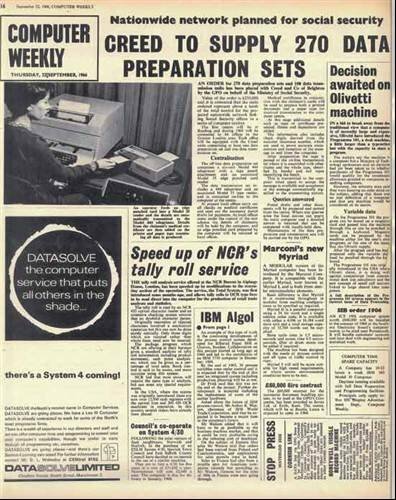 On p16, the last page of our first edition, Computer Weekly covered the government's plans for a nationwide network for social security. The article covered an initial contract of £250,000 to connect 84 offices in central London. Computer Weekly has consistently investigated how UK taxpayers' money is being spent on major government IT projects, and why these IT infrastructure projects regularly fail to deliver on expectations. With the current government's austerity measures, IT has the potential to make government less costly. But central government IT has a poor track record.